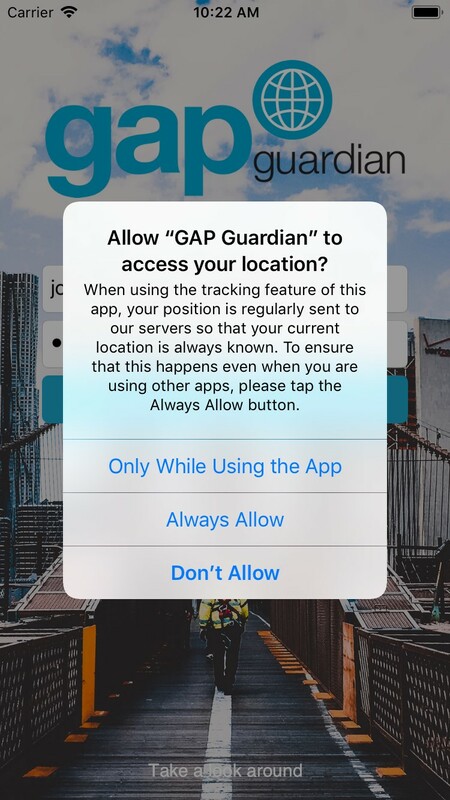 This article explains how to use the GAP Guardian app for iOS and Android. To run the app on iOS, your device needs to be running a minimum of iOS v10.3.0. To run the app on Android, your device needs to be running a minimum of Android v4.4. When you start the app for the first time on iOS, you may be prompted to allow the app access to your location. Tap "Always Allow". You may also be prompted to allow the app to send you notifications. Tap "Allow". Enter your user name and password in the "Username" and "Password" text boxes respectively, then tap "Login". If you only have one device assigned to you on the Portal, your credentials will be validated, and the Dashboard will load. 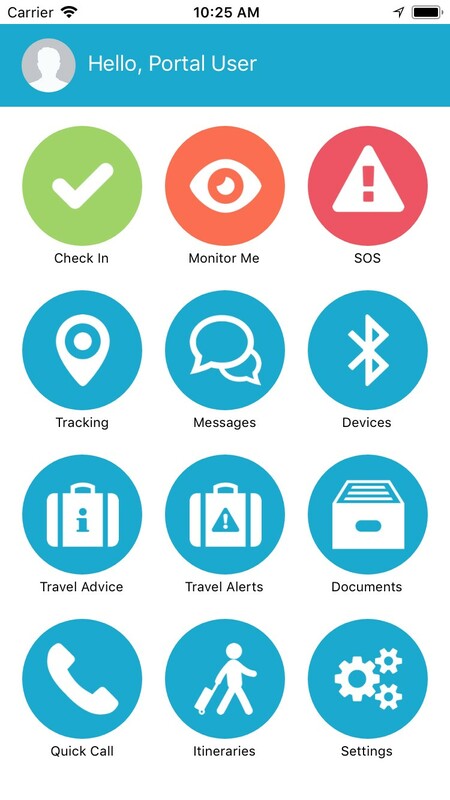 If you have more than one device assigned to you, you will be asked to select which device you are using before proceeding to the Dashboard. The Dashboard screen shows all the app functions available to you. Note: some functions may not be available to you as a result of configuration undertaken by your administrator. 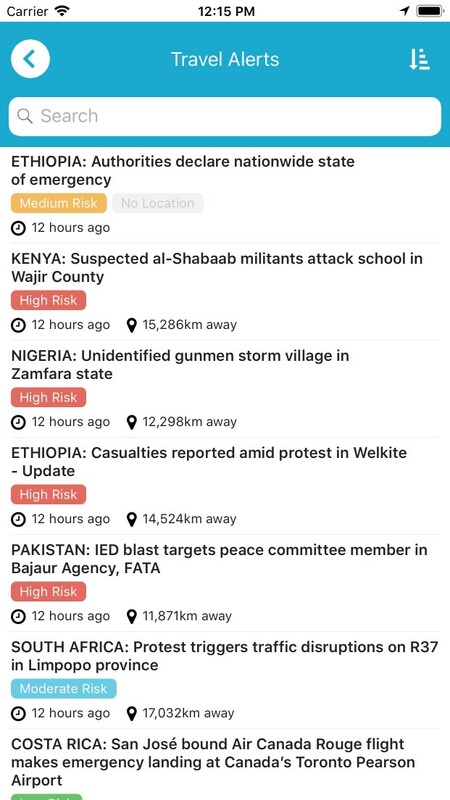 SOS mode raises an emergency alert on the Portal. 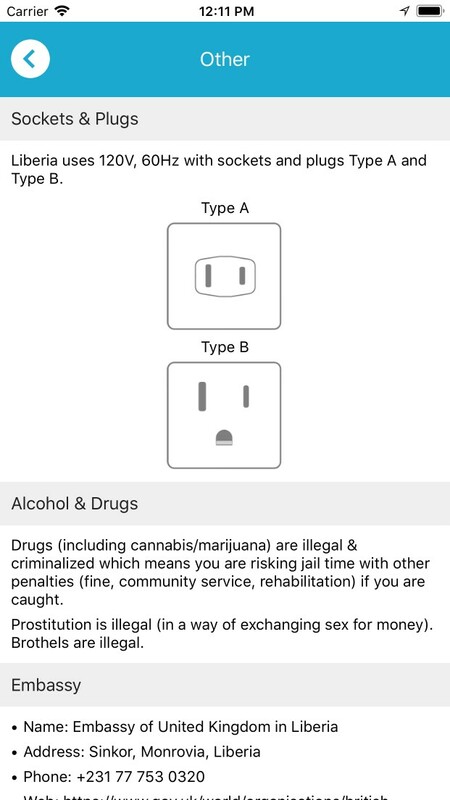 It is used to indicate that you are in danger and require assistance. To activate SOS mode, press and hold the SOS button until the animation around the edge of the icon completes a full circle. When complete, a red banner will display, and the SOS button will pulsate. An SOS message will be sent at regular intervals to the Portal. 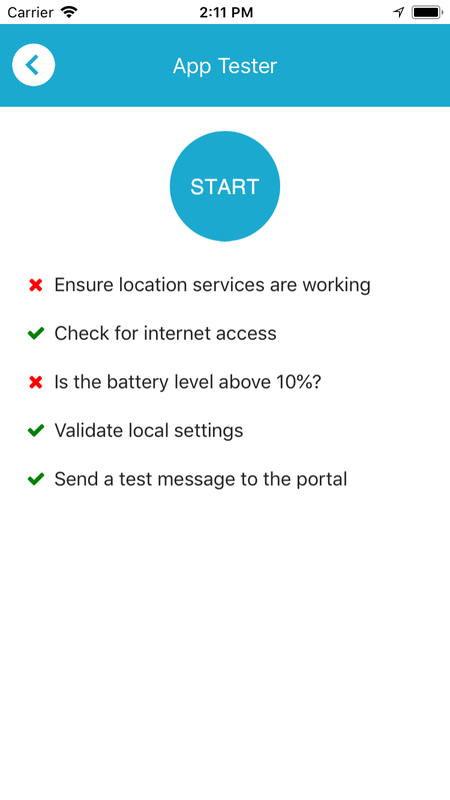 To configure the SOS message interval, tap Settings then SOS. Drag the "Send SOS every..." slider to the desired value. To trigger a phone call when SOS mode is started, tap Settings then SOS. Flick the "Call ... when SOS mode started" option to "on". The number called will be defined by your administrator. Please see the Administration Guide for more information. 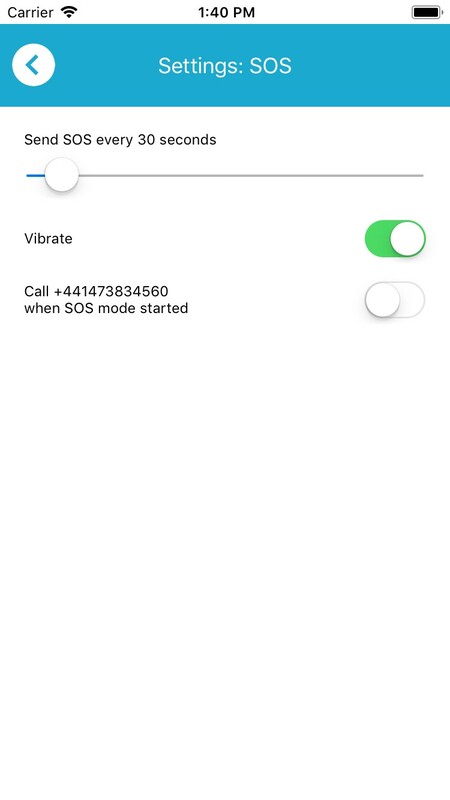 To enable haptic feedback (vibration) when an SOS mode is acknowledged, tap Settings then SOS. Flick the "Vibrate once acknowledged" option to "on". 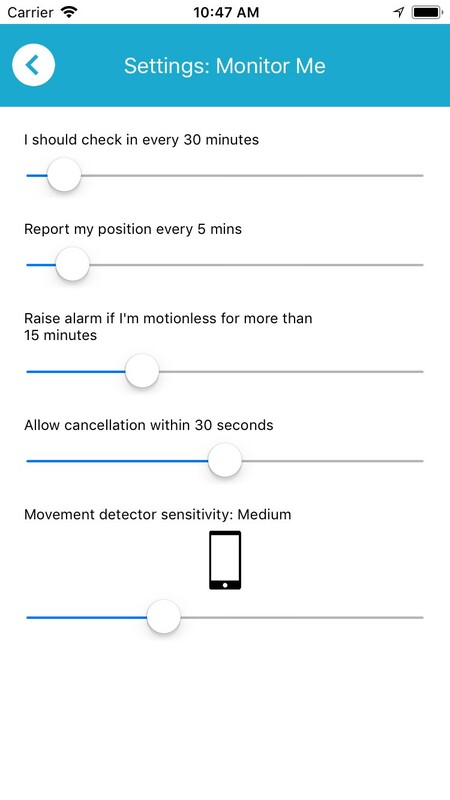 Note: on iOS, the "Vibrate on Ring" setting (tap Settings then Sounds) should also be enabled. To cancel SOS mode, tap the SOS button and answer "Yes" to the warning prompt. Note: you cannot change these values whilst Monitor Me is running. To start Monitor Me, tap the Monitor Me button. The edge of the button will rotate whilst Monitor Me is activating, after which point the button will pulsate to indicate it is active. The banner will also temporarily display a notification to that effect. 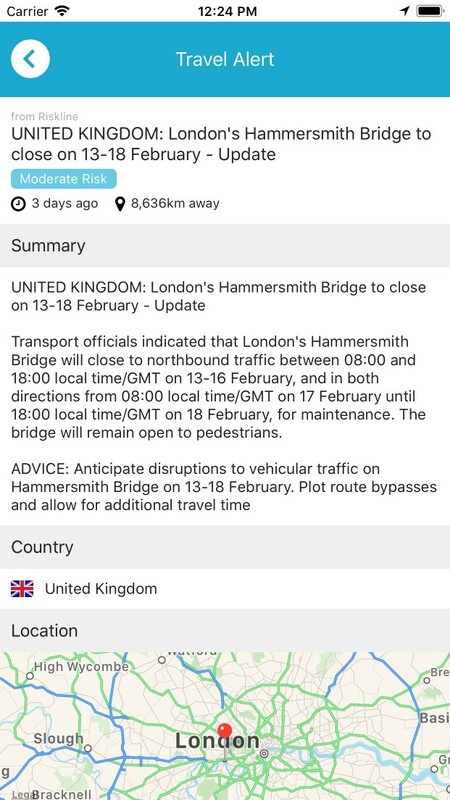 The Check In button will change to show a countdown timer, indicating when you are next required to check in. If you do not check in when required, a banner will be shown reminding you to check in. To check in, tap the Check In button. The edge of the button will rotate whilst the check in is performed. 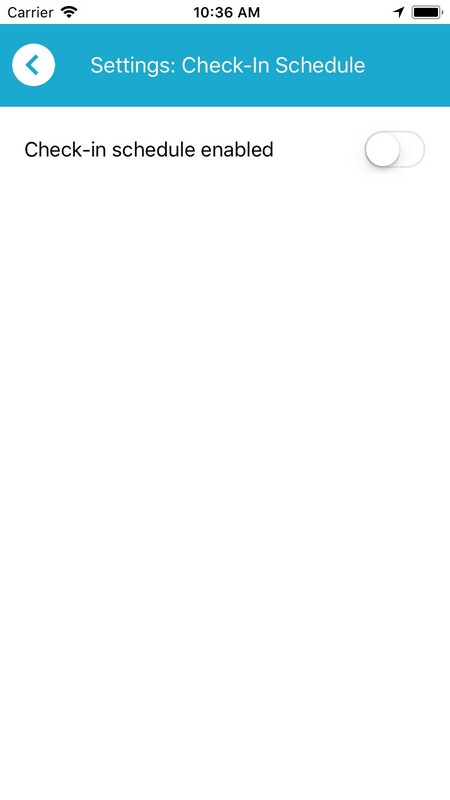 The banner will also temporarily display a notification to that effect. To stop Monitor Me, tap the Monitor Me button. The edge of the button will rotate whilst Monitor Me is stopping, after which point the button stop pulsating. The banner will also temporarily display a notification to that effect. In addition to Monitor Me, your administrator can create Check-In Schedules, requiring you to check in at predefined intervals or certain times of the day. These are assigned remotely to your device via the Portal by your administrator. 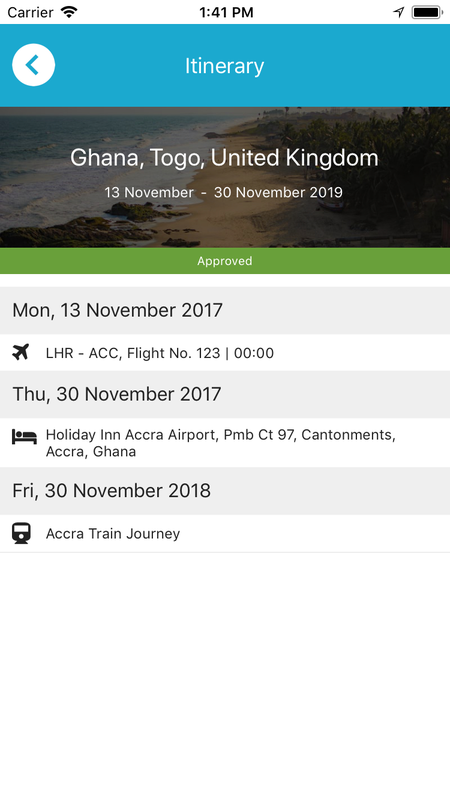 To enable your assigned Check-In Schedule, tap Settings then Check-In Schedule and then flick the "Check-in schedule enabled" option to "on". The details of your assigned schedule will be displayed. If there is no Check-In Schedule assigned to your device, an error message will be displayed. 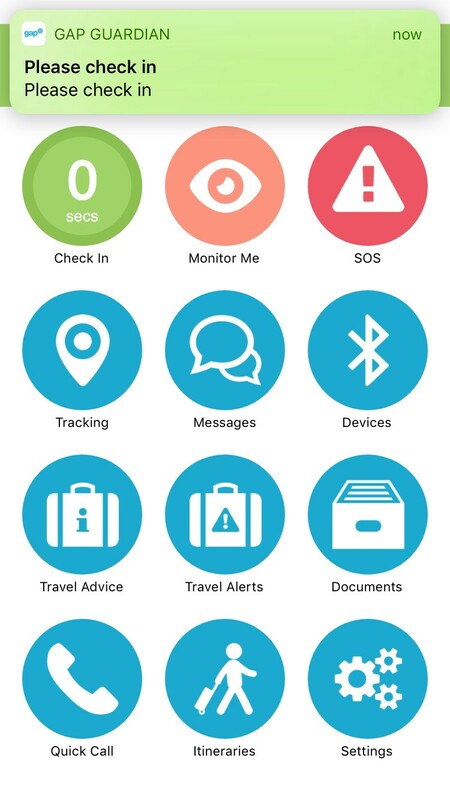 If Monitor Me is active, your next check-in will be calculated based on the chosen Monitor Me interval and your assigned Check-In Schedule. To disable your assigned Check-In Schedule, tap Settings then Check-In Schedule and then flick the "Check-in schedule enabled" option to "off". When tracking mode is active, your location information will be sent to the Portal on a set interval or when you move more than approx. 200M. 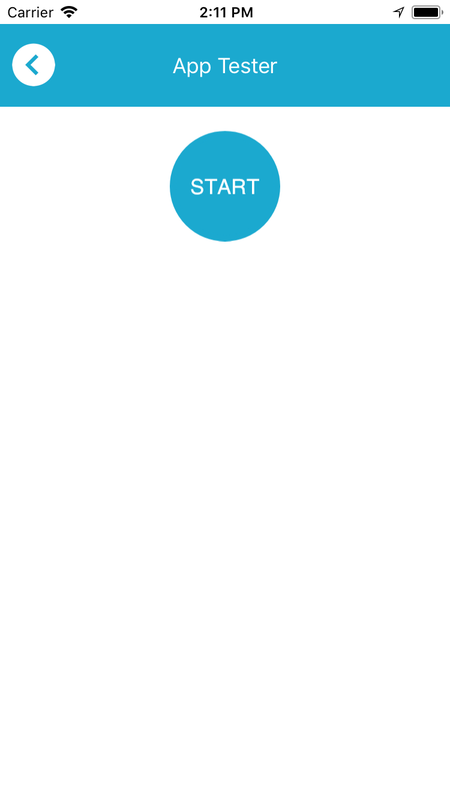 To start tracking, tap Tracking then tap the Start button. When tracking mode is enabled, the Tracking button on the Dashboard will pulsate. 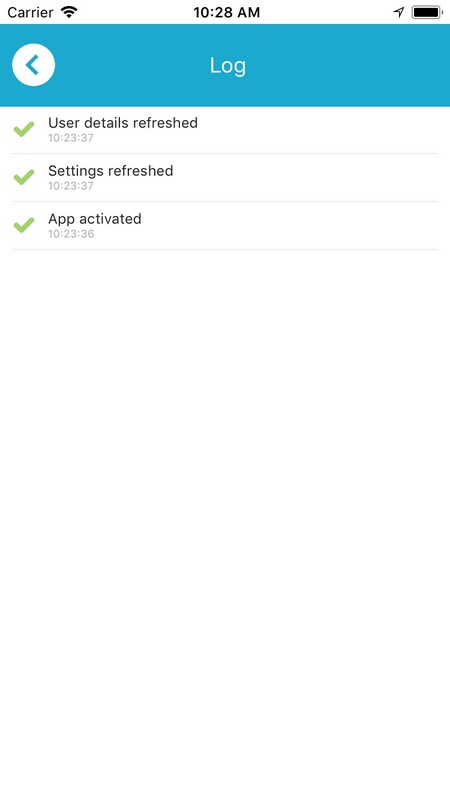 To configure the tracking based on a particular interval, tap Settings then Tracking. 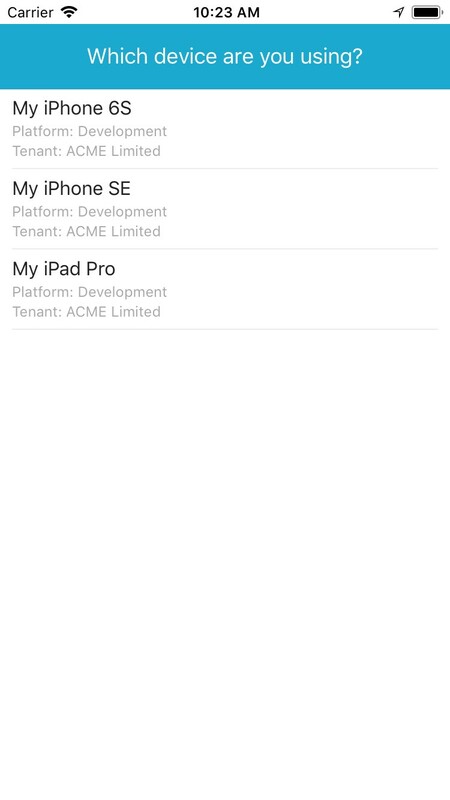 Set the "Only report when location changed" toggle to off then drag the "Send my position every..." slider to the desired value. In this mode, you can also configure whether position reports should only be sent when you have moved more than a set distance using the "Only send my position if I've moved more than..." slider. To configure the tracking based on a significant movement (approx. 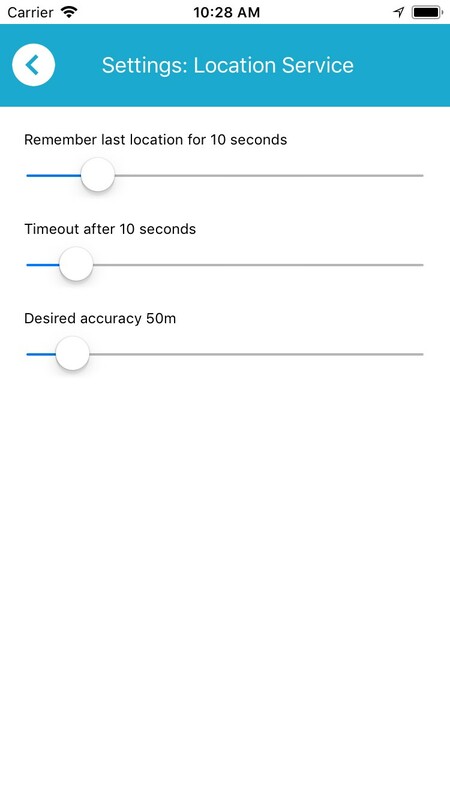 200M), tap Settings then Tracking. Set the "Only report when location changed" toggle to on. 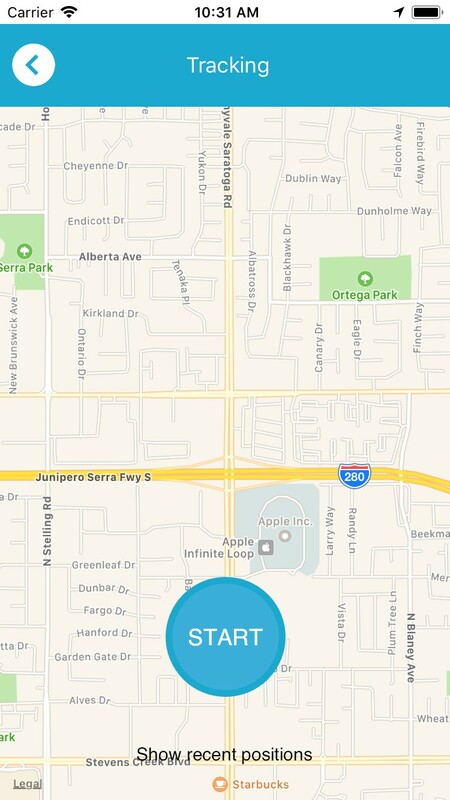 To deactivate tracking, tap Tracking then tap the Stop button. The Messages screen allow you to converse via text messages with a Portal operator. When you receive a message, a notification will be displayed and a red badge indicating the number of unread messages will be shown on the Dashboard screen and on your device's app launcher screen (on supported Apple, Samsung and Sony devices only). 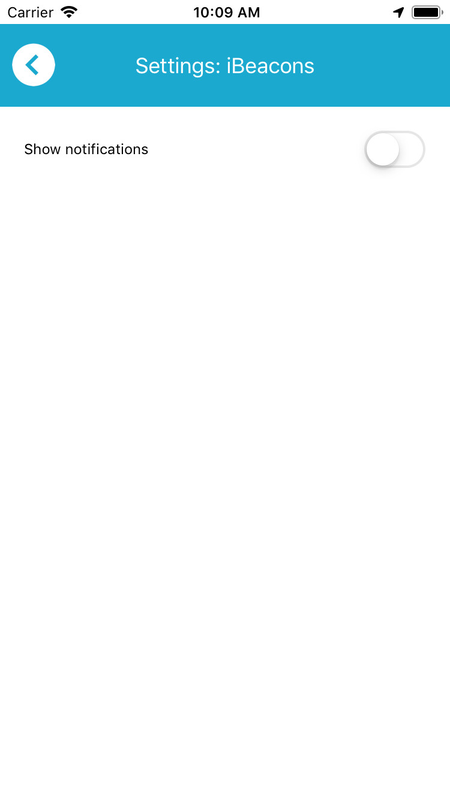 To reply to a message, tap Messages then the name of the sender. Enter your message in the text box at the bottom of the screen and tap Send. The Devices screen allows you to pair a Bluetooth LE button called a V.BTTN, enabling you to trigger SOS alerts or check in without having to unlock the phone and use the app. 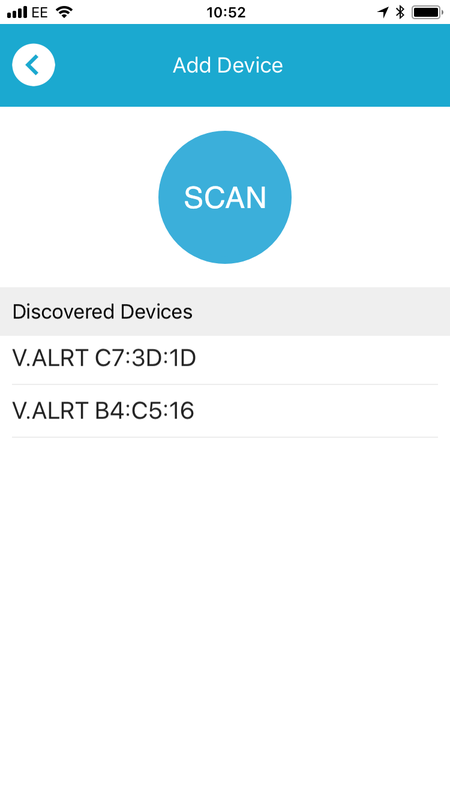 To connect the V.BTTN, make sure Bluetooth is enabled on your device and then tap Devices. 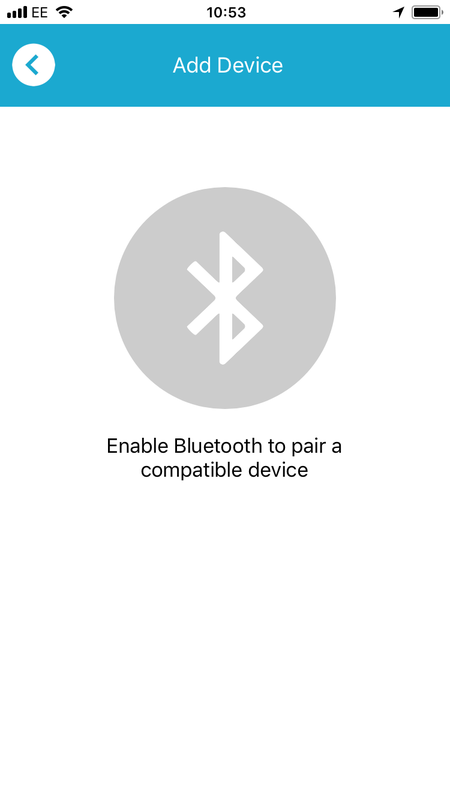 If Bluetooth is not enabled, you will be reminded to enable it. 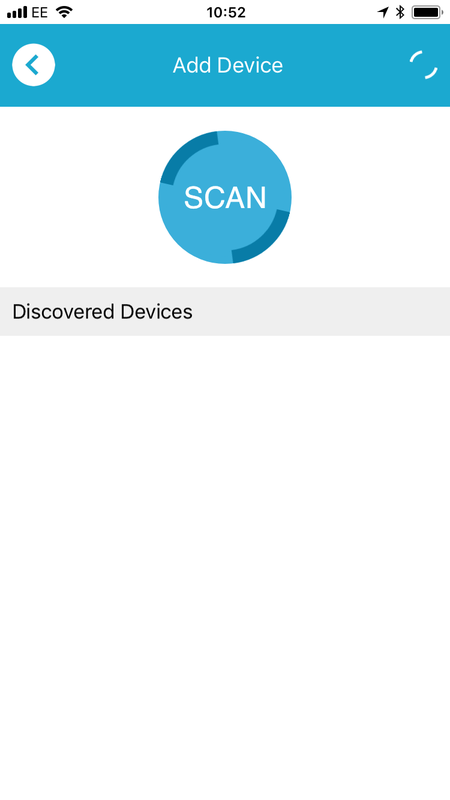 Once enabled, tap the Scan button. 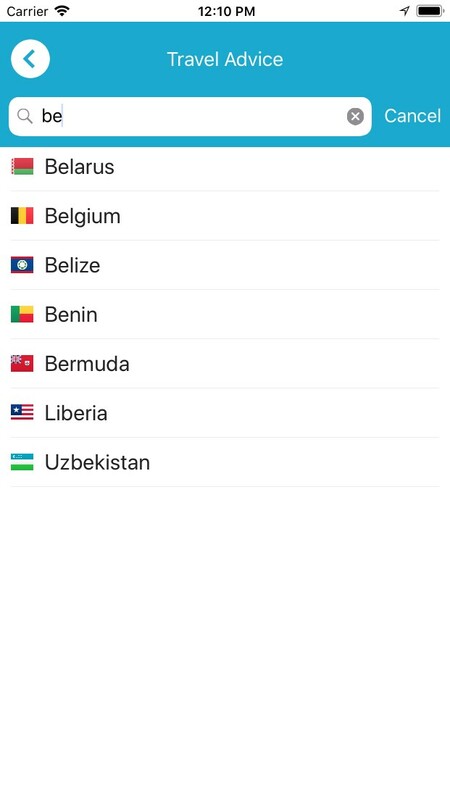 A list of available V.BTTNs will appear below. Tap on the device you wish to connect. The V.BTTN should beep and display a green light; the app will also display that it is connected to the V.BTTN. Once connected, you can optionally configure the button to perform a check-in via single, short tap. To do this, swipe the "Check in on short press" option. 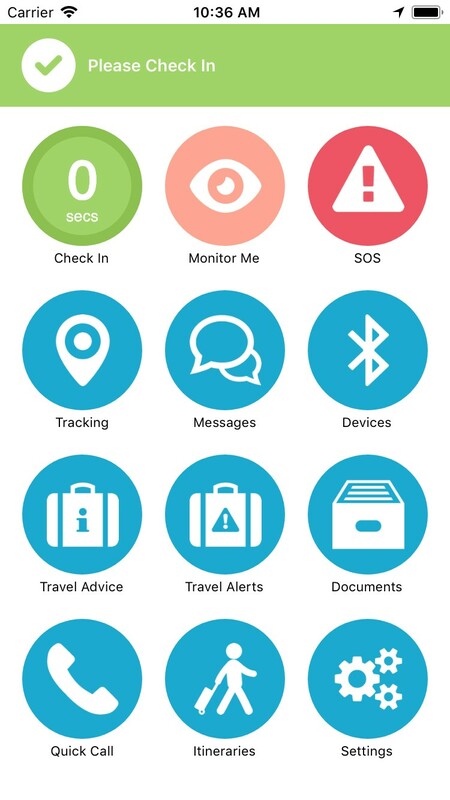 To perform a check-in via the V.BTTN, press the button for less than 3 seconds. To prevent the V.BTTN from flashing or making a noise, swipe the "Disable LED" and "Disable sound" options. To trigger an SOS via the V.BTTN, press and hold the button for 3 seconds and release. The button will flash red and beep twice. Once the app has received the alert from the button, the V.BTTN will flash alternate red and green. 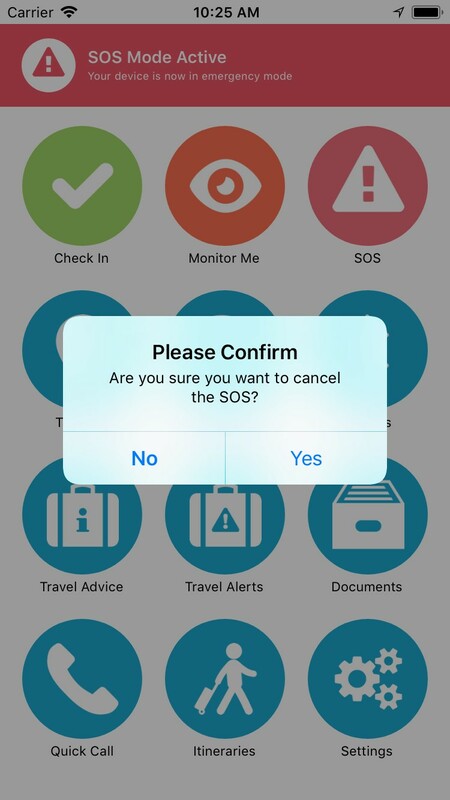 To cancel as SOS you triggered via the V.BTTN, you must use the app to cancel in the normal way. Cancelling an SOS via the V.BTTN is not currently supported. To disconnect the V.BTTN, tap Devices and then tap the flashing Bluetooth button. Accept the prompt to disconnect the device. The V.BTTN will beep twice and flash red for a few seconds. To forget the device permanently, tap Forget. To reconnect, tap Connect. 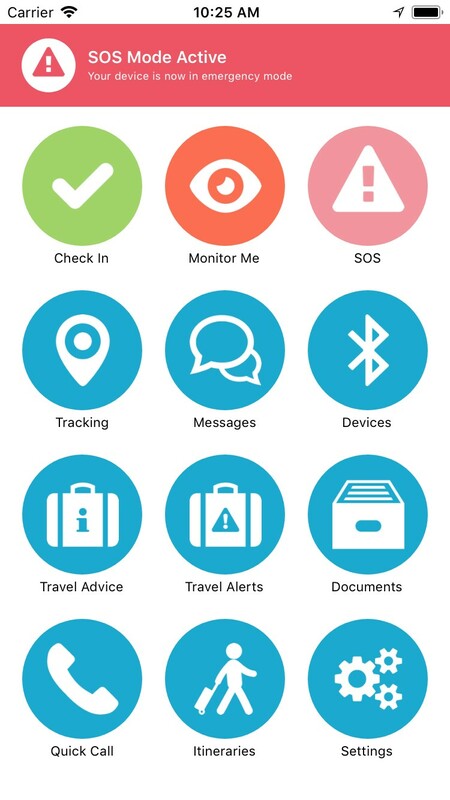 Note: certain elements of the Travel Advice functionality are available for GAP Insights customers only. 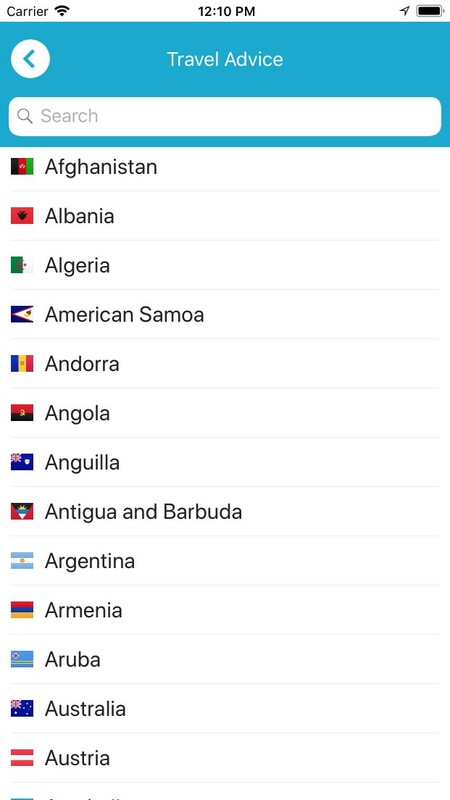 To view the advice for a specific country, tap the Travel Advice button and then tap on the name of the country in question. Each section can be expanded by tapping on it. Note: the Travel Alerts function is available for GAP Insights customers only. 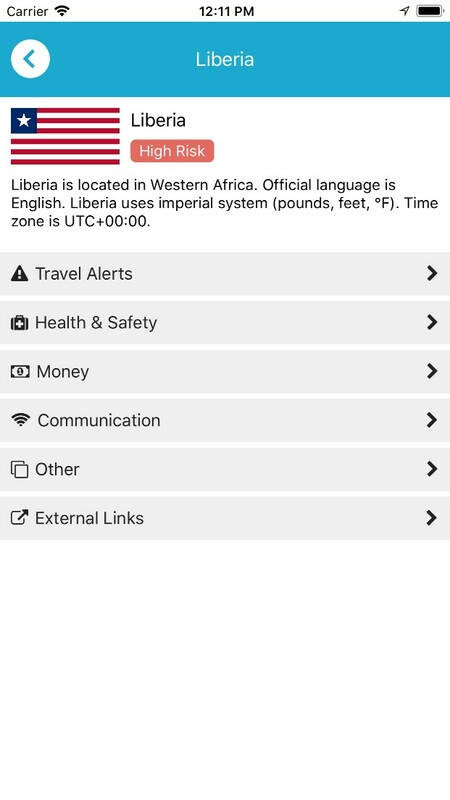 To view travel alerts, tap the Travel Alerts button. Tap on an alert to view further details. Note: the Itineraries function is available for GAP Insights customers only. To view itineraries, tap the Itineraries button. 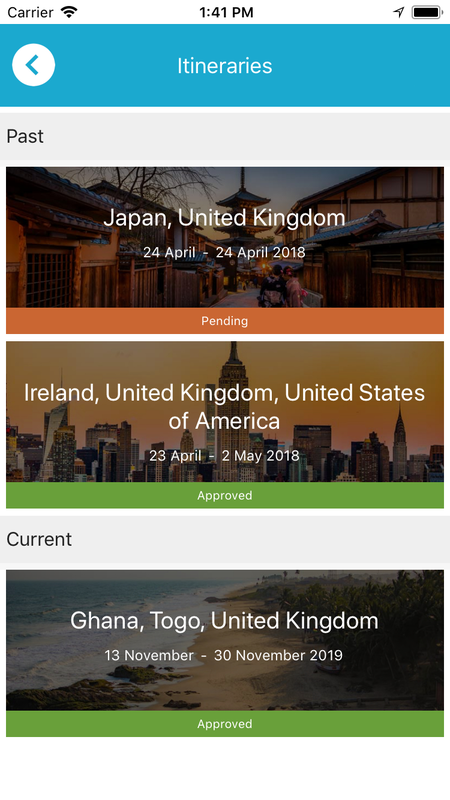 Tapping on an individual itinerary will open the detailed view. Note: the Documents function is available for GAP Insights customers only. To view documents, tap the Documents button. Tapping on a folder will open that folder. Tapping on a document will open the document (if the file format is supported by your device). To navigate back up the folder structure, tap the back icon on the banner. The Quick Call function presents you with two buttons to initiate phone calls to numbers configured by your administrator. 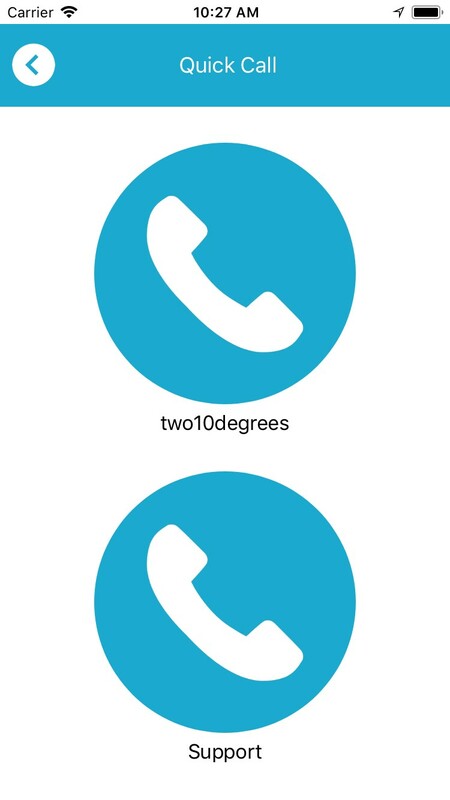 To initiate a quick call, tap the Quick Call button then tap the button representing the number you wish to dial. 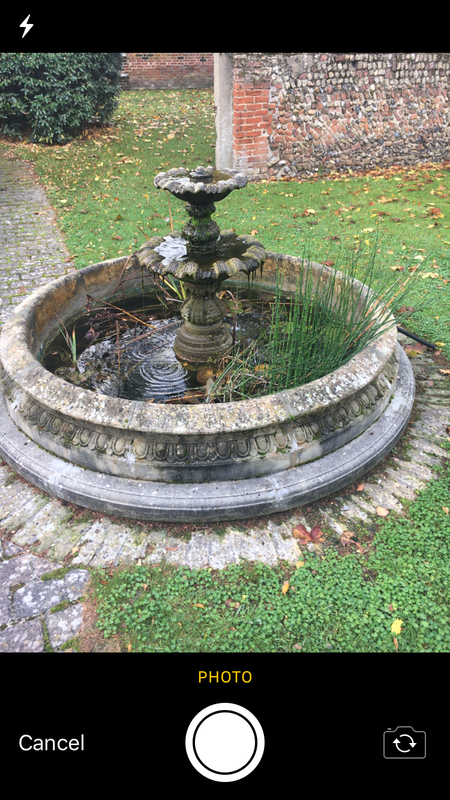 The Take Photo function allows you to take a photo and upload it to GAP (where it can be viewed in the device's inbox). To take a photo, tap the "Take Photo" button on the Dashboard and then tap the white button at the bottom of the screen. 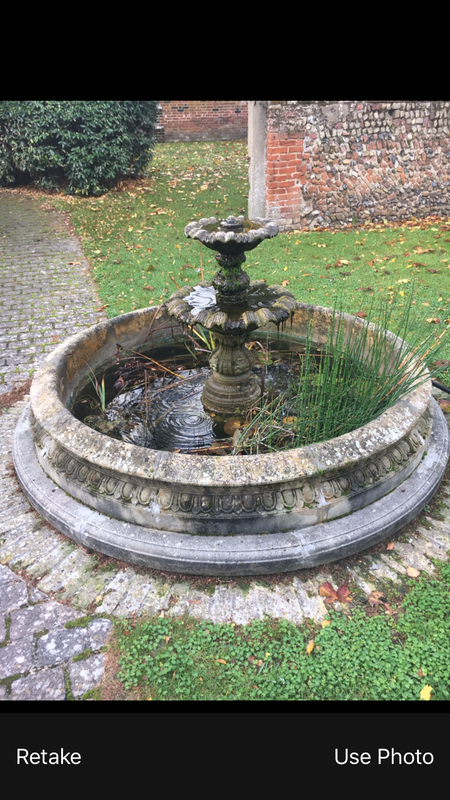 If you are happy with the photo, tap "Use Photo", otherwise, tap "Retake". 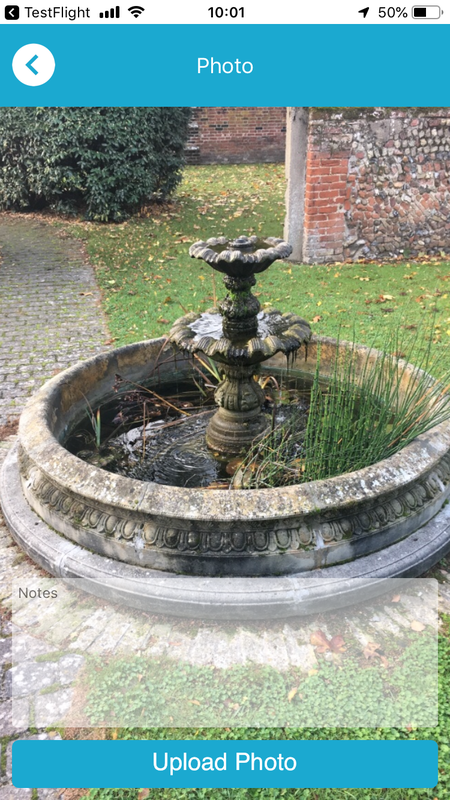 If you want to enter some accompanying text, do so in the "Notes" box then tap "Upload Photo". 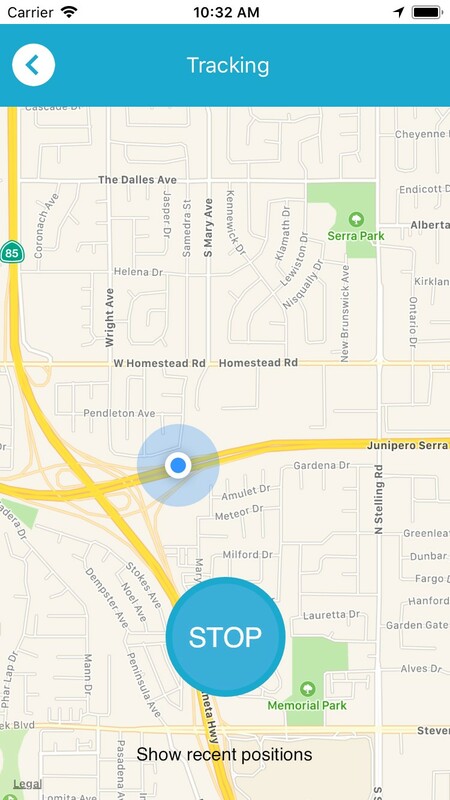 To configure location service settings, tap Settings then tap Location Service. Drag the sliders to the desired values. 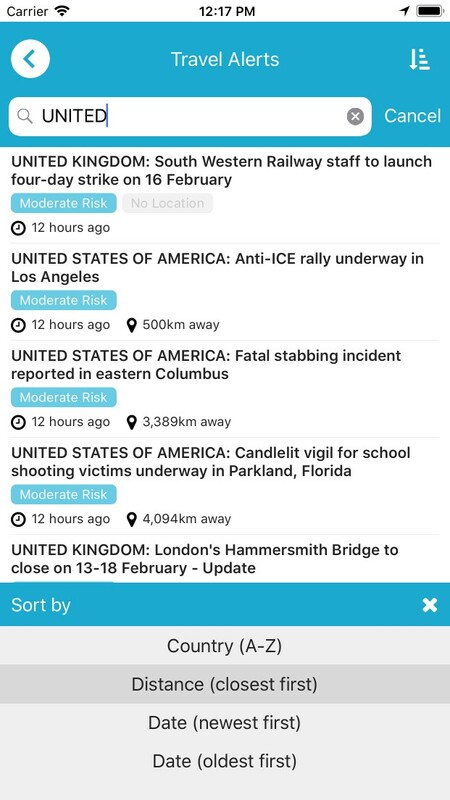 The Log screen contains information on the app's activities, including any warnings and errors. To view the log, tap Settings then tap Log. To perform basic testing to verify the functionality of the app, tap Settings then App Tester. To begin a test, tap the Start button. Bluetooth beacons (sometimes known as iBeacons) are used to help obtain more accurate position data when indoors. They emit a Bluetooth LE signal which the device can use to identify where it is within a building. When the device enters the range of a known beacon, a message will be sent to the Portal containing the ID of the beacon. You can optionally be notified when you enter the range of a known beacon. To turn notifications regarding beacons on or off, tap "Settings" then "iBeacons" then swipe the "Show notifications" option as required. Deactivating the app will delete your settings and return the app to the Login screen. You will need to login again before the app will function. To deactivate the app, tap Settings then tap the Deactivate link at the bottom of the screen.